We sure have a treat today for those of you who just can’t get enough of New Fantasyland at Magic Kingdom Park. 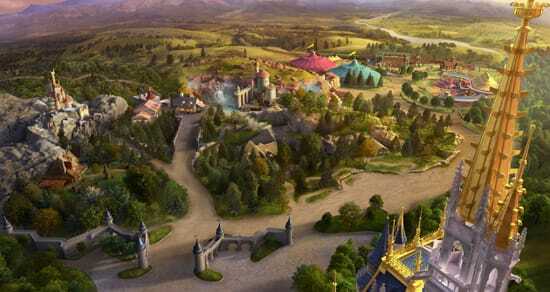 New signature images have just been released that I think sure put the “fantasy” into New Fantasyland. This first signature image shows a view of New Fantasyland in detail from the very top turret of Cinderella’s Castle. The landscape stretches from Maurice’s Cottage on the left, all the way to the colorful Storybook Circus on the right. Another photo depicts Belle enjoying a book right outside Maurice’s Cottage, with Beast’s Castle high up on the mountains in the background. Just a reminder – these two areas of New Fantasyland will open in a preview phase for all Magic Kingdom Park guests November 19, with a grand opening December 6. Jen, not sure if you mentioned this or not. Do you know if any of this artwork will make its way into stores? Would love to get the Belle picture as it is simply stunning. Thanks! I am so eager to see this! I live an hour away and have been watching it grow from beyond the fence. How do I make sure I get to be there for the preview? I am DVC, card holder and Florida Resident Seasonal pass holder. Will there be passholder and/or cast previews PRIOR to the opening of November 19th? I made the “Maurice’s Cottage” image one of my desktop wallpapers yesterday. Even my professed “non-Disney” co-workers were enchanted by the shot and wanted to know more about the Fantasyland expansion. Only problem is, I find myself getting lost in the scene instead of working! We can’t wait to see the New Fantasy Land! We have booked a trip for early January so we can enjoy all the new attractions and the new Be Our Guest restaurant. We’re so excited! Jennifer, my girlfriend is nicknamed “Chelsey-Belle” and Beauty and the Beast is “our movie”. She truly is a princess in my eyes and I would love to make our trip more special. Is there anything extra special I can do for her at the Be Our Guest Restaurant or while we are in Belle’s cottage in January? I have the same question about the passholder preview- when is it and when can I sign up? Is it also available to Florida Seasonal passholders, or just Annual passholders? Also, the preview period- what does that mean exactly? Shorter hours? Is it open to the general public? We are planning another trip in Dec. but want to make sure we will be able to see everything if we go 12/1. Otherwise, we will wait and go 12/8! We weren’t able to get Be Our Guest reservations, but that just gives us an excuse to come back in January!! Thanks for the pictures- they are gorgeous!!! Hi, reading our Mickey Monitor…similar question to above, do you know the dates of the preview for the passholders? We have a trip scheduled for Nov 7,8,9 so we are hoping to get in on the passholder preview if it is during this time. THANKS!!!! Can’t wait to see this amazing and magical addition. I’m a passholder and having trouble getting/finding how to get an invitation to the preview of the new Fantasyland Preview. can you help. We are trying to plan a spring 2013 trip & usually come May over Mother’s Day. I really don’t want to miss something opening by a few days. What are the projected opening dates for 2013? Awesome!!! We can’t wait! Disney has done an excellent job, it looks beautiful! When you say the previews will begin Nov. 19- will they continue until Dec. 6? We will be in the park on Nov. 20…any chance we will get to preview? Thanks so much! Yes, the preview period is Nov. 19-Dec. 5. 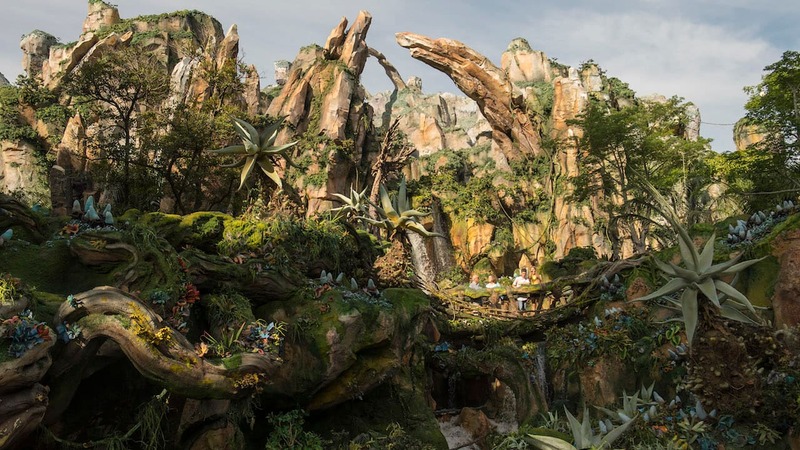 I am so excited to see that this area of the park will be open for my trip late November. How early do I need to make reservations for “Be Our Guest”? Will it be part of the dining plan? Reservations opened today – I’d make them asap. when will this all be complete? I was there in April and Dumbo and Barnstorm were only open and we are planning our next trip and I can not wait. 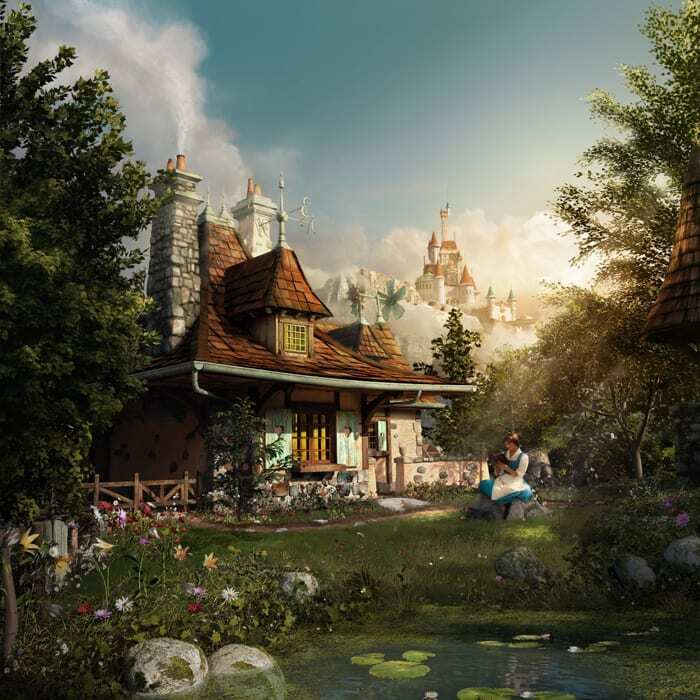 I realize that these images are renderings and not necessarily exact depictions of how the final Fantasyland will look, but I am excited that the new land will be so green and lushly landscaped. If the final setting appears even half as pretty as they do in these illustrations, new Fantasyland may be one of the prettiest areas in any Disney park. From what I’ve seen of the area, these images are pretty darn close. Also, I just wanted to say how fantastic it is that the dinner is only 1 dining credit. I was worried it might be 2. THANK YOU DISNEY!!!!! We are planning a trip in July and were so sad when we heard Mickey and Minnie’s homes were gone but, now looking at the new attractions we are so very excited. I’d love to know when the customized maps are going to be updated. I’d love to send it to my daughter who is in her senior year of nursing school. I know the preview begins on November 19. I will be there the week prior. Will the walls come down earlier than the 19th? I’d love to see the new section and walk around it if I could. Not sure when the walls will come down, but some of these structures are pretty tall. Walking through the existing Fantasyland, it’s hard to miss some of these things because they’re so tall – specifically the Seven Dwarf Mine Train and Prince Eric’s Castle. Coming down for a cruise excursion in December and again in April for a week’s vacation, we can’t wait! making my reservation for December Monday, happy to see the prices are below $35 a person for dinner which is reasonable when you have a family to feed. And the menu looks fantastic. I can’t wait! We are bringing my nieces for their first trip in December and they are most looking forward to doing something with us that is new for everyone. We will be there Nov. 26-30! Are we going to be able to ride little mermaid or just see a preview? 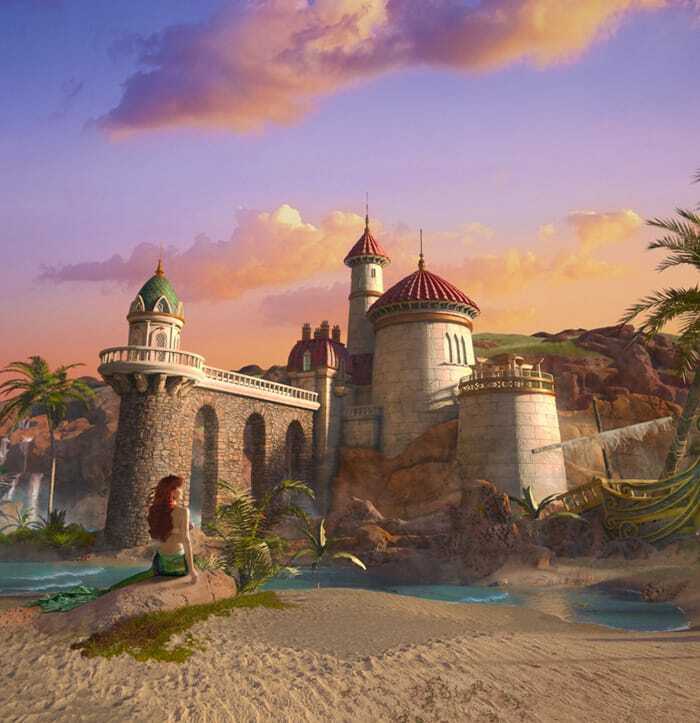 Also, can you tell me more about Ariel’s Grotto? Thank you! Will these images be available as prints to purchase? These pics look amazing!!! They really capture the art and story telling that WDI is going for. Cannot wait for the entire area to be opened! I’ll be on the phone with everyone else Monday morning trying to get a be our guest ADR!!!! Wow… These are amazing! The view of the Beast’s castle from Maurice’s cottage is really awesome. I can’t wait to see it in person.! Thanks for sharing them, Jen. Oh yay! I do really love the one of Maurice’s cottage and Belle, and not just for the “hidden” Mickey lily pads. What a great sense of place! I’m so excited about the new area! Hate that I’ll miss the previews by about 6 weeks, but of course I’ll be back! STUNNING. Will the Magic Kingdom park maps have New Fantasyland mapped/listed starting on Nov. 19? It would be so cool to have these as a souvenir. I recently found park maps from a December 2000 trip, and it’s fun to see how the parks have changed in 12 years! That’s a good question – I’ll look into it. All three are beautiful but I love the one of Belle. She’s always been my favorite princess. I love how different Belle’s cottage looks from Eric’s castle. The detail is amazing and I love how they are two totally different worlds right next to each other. Can’t wait to see it in person! They are both completely different, and AMAZING! This brings tears to my eyes. These are the movies of my childhood and now I can introduce them to my own child….thank you Disney for making dreams come true. We’ll be there on Sunday! 🙂 Have a great visit. Can’t wait we will be there for the Grand opening and then celebrate with Mickey’s Very Merry Christmas party that night!!! These images are absolutely beautiful. Do you know if you will be posting high-resolution versions of the images? These are too small to enjoy all of the beautiful details. Thanks! Love the pictures! We’re going the first week of November, so is there any chance of soft openings before at that time? The preview period begins Nov. 19. While at first I was extremely bitter that the New Fantasyland preview started the day after we leave, I must say that these new artist renditions are breathtaking and have left me with nothing but a happy feeling that a place this magical exists! That’s nice to hear, Katie. We’ll bring you as much “inside” the park as we can right here on the blog.